Richa Chadha joins the ranks of Hollywood superstar Will Smith. HomeRicha ChadhaRicha Chadha joins the ranks of Hollywood superstar Will Smith. 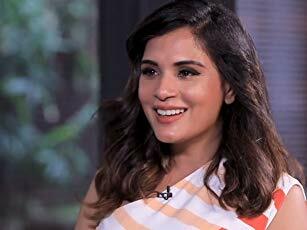 Bollywood star Richa Chadha is one of the most versatile actors of Bollywood. The 32-year old actress has impressed us with her acting skills in films like Gangs of Wasseypur franchise, Sarbjit, Fukrey franchise, Masaan and many more. The Tamanchey actress recently went to UK to promote her film Love Sonia, which released last weekend there. The actress was also invited as a guest on a BAFTA Award-winning news show of Victoria Derbyshire. After impressing us with her acting chops, Richa has achieved a new milestone, as she becomes the first Bollywood star to have her handwritten message featured in a unique book called The House of Commons Book of Tribute to the late Nelson Mandela. Mandela was the former president of South Africa and a world leader. It's a book that has handwritten messages by prominent people across the world including David Beckham, Sir Paul McCartney, Sir Richard Branson, Maya Angelou, Russell Crowe, Chris Rock, Kylie Minogue, Will Smith and many others. The book will soon be published and will be made available globally. Richa expressed her thoughts about the book and said, I met Nic when I was in London recently. He has been working really hard to get together this amazingly conceptualized book which is the House of Commons book - an homage to one of the world’s biggest iconic figures, not just in the world of politics but as a human being, the Late Nelson Mandela. We all have heard and learnt a great deal about him and what he contributed during his time for human right issues across the world especially in the African continent.